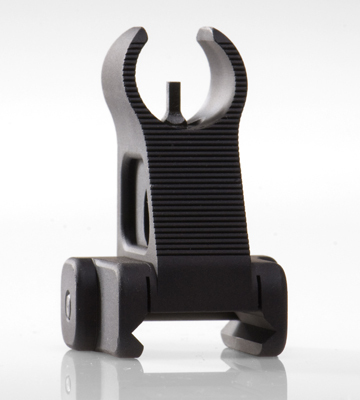 A permanent rail mounted alternative to a standard A2 front sights that allows unlimited options for mounting on all length rails. Features include a continuous zero, a serrated ramp to eliminate glare and, made of aircraft aluminum with stainless steel components in black. Will not work with a railed gas block that is higher or lower than the receiver. 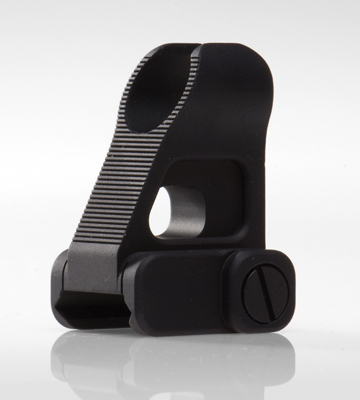 Fits the SR-556®, SR-762®, SR-22®, and AR style of rifle with Picatinny rails on it. Made in the USA by Troy Industries.